Another composite photograph, further to C.N. 3478. A larger version can be viewed by clicking here. 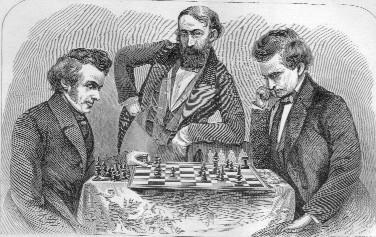 C.N.s 1744 and 1814 (see pages 135-136 of Chess Explorations) discussed Alfred Kreymborg’s article ‘Chess Reclaims a Devotee’, which was reproduced on pages 6-18 of The Fireside Book of Chess by I. Chernev and F. Reinfeld (New York, 1949). 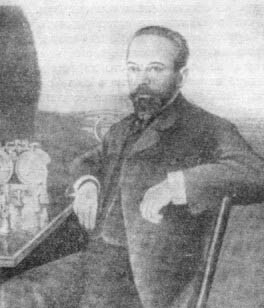 It may be recalled that Kreymborg asserted that, after a painful loss to Chajes (in 1911), ‘I resolved to have done with chess tournaments, chess clubs and chess forever after’. 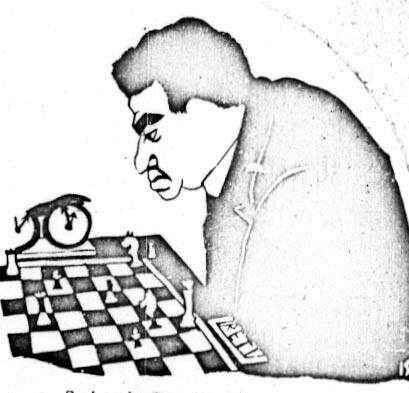 The article was undated, although the opening sentence began, ‘Recently, after an absence of nearly 20 years from the chess world, I returned to the game of my first love...’ We would now add that the complete text had already been included in an earlier anthology, The Art of Chess Playing by E.V. 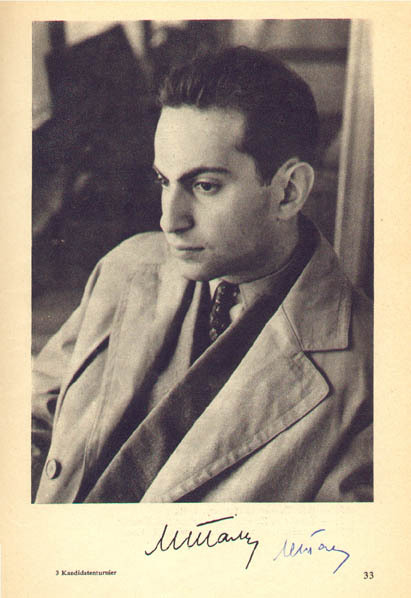 Mitchell (New York, 1936); the acknowledgments page stated that it had originally appeared in The American Mercury (date unspecified). John Hilbert (Amherst, NY, USA) points out that two games involving Kreymborg (a win against E.B. 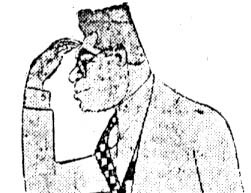 Adams and a loss to A.C. Cass) were published in Chess Review in 1938 (April, page 96 and June, page 133 respectively). Below is the former, together with the American magazine’s introduction. 30 Qf1 Nxa5 31 Qh3 Re7 32 Qg2 Ref7 33 Rxg6 (33 Rxh5+ would have been the natural finish.) 33...Qe8 34 Rh6+ Resigns. Readers wishing to examine databases for further play by Kreymborg should note that, for some reason, they often spell his name ‘Kreymbourg’. On the same page of the magazine the task of constructing a double-check position without any move by a checking piece was described by Wolfgang Heidenfeld as follows: ‘This is easy by using the e.p. capture and has been shown frequently.’ Nonetheless, as noted in C.N. 3138, Heidenfeld himself wrote on page 88 of The Encyclopedia of Chess by H. Golombek (London, 1977) that double check was ‘A discovered check in which both pieces check the hostile king …’. The solution was given as 1 Rc8+ Kxc8 2 b7+ Kb8 3 d5, and Reinfeld now blundered by commenting, ‘He must play 3...Kc7, allowing 4 bxa8(Q) and wins’. Readers will require no prompting from us as to the fourth move for White actually intended by Selesniev. This game was chosen to represent the year 1916 in Jonathan Hinton’s 1999 book A Gnat May Drink and was the only one in the collection to feature an anonymous player. Can a reader examine the New York press of the time in an attempt to identify Black? 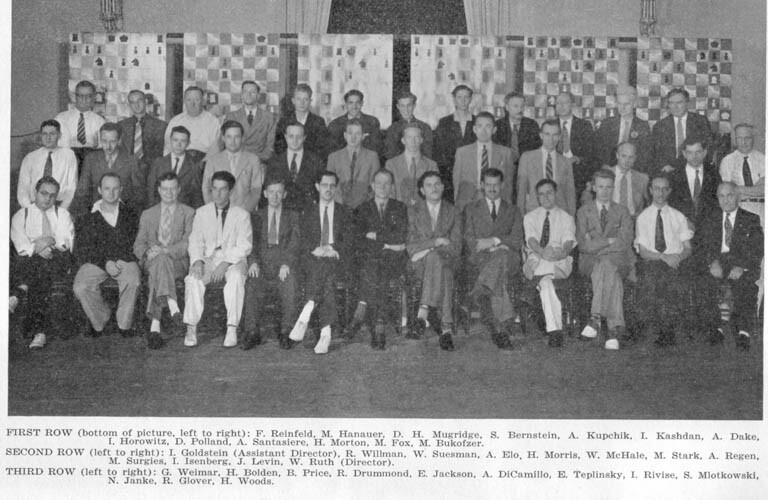 Unconvincing chess anecdotes abound, but when they include names our curiosity may be aroused. An example comes from page 66 of Bitte, Bleiben Sie Seriös! (Bad Nauheim, 1958), i.e. 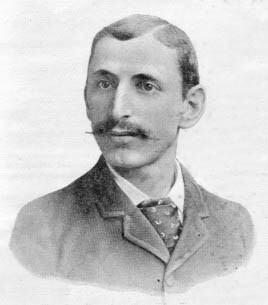 a claim that in Hastings a young player named Parker played a series of brilliant combinations against an unidentified opponent and won a game which had been widely considered lost. He was then allegedly told by Alekhine, ‘If you had played correctly, you would never have won this game’. We have been unable to match this account with any of Alekhine’s visits to Hastings. 1 e4 e5 2 Nf3 Nc6 3 Bc4 Nf6 4 Ng5 d5 5 exd5 Na5 6 Bb5+ c6 7 dxc6 bxc6 8 Be2 h6 9 Nf3 e4 10 Ne5 Bd6 11 d4 Qc7 12 Bf4 O-O 13 Nd2 Nd5 14 Bg3 e3 15 Ndf3 exf2+ 16 Bxf2 Nf4 17 O-O Re8 18 Bd3 c5 19 c3 Bb7 20 Bb5 Re7 21 Bg3 Nd5 22 Qa4 a6 23 Bd3 Nc6 24 Rae1 cxd4 25 cxd4 Nxd4 26 Nxd4 Bxe5 27 Nf5 Re6 28 Bxe5 Rxe5 29 Rxe5 Qxe5 30 Qd7 Qc7 31 Ne7+ Kf8 32 Ng6+ Kg8 33 Qxc7 Nxc7 34 Bc4 Kh7 35 Bxf7 Bd5 36 Ne5 Bxf7 37 Rxf7 Nd5 38 Rb7 Rc8 39 h4 Rc2 40 g4 Nf4 41 Rb3 Re2 42 Rf3 Re4 43 Kf1 Nd5 44 Nd7 Rxg4 45 Ra3 Rxh4 46 Rxa6 ‘and after a few more moves the game was drawn’. 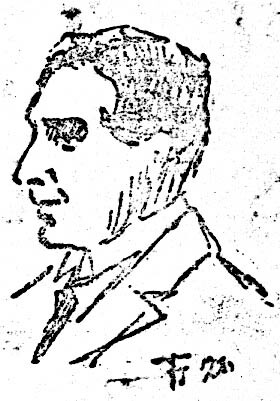 Source: BCM, August-September 1885, pages 295-297. 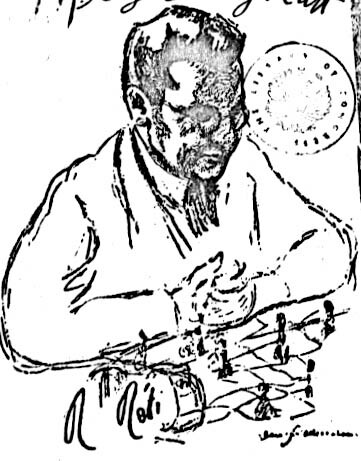 Parker’s win over Capablanca was in Sheffield on 8 October 1919. The concluding moves were given on page 107 of the 2/1999 Quarterly for Chess History. Browsing through Testament d’Alekhine by A. Baratz (Paris, 1972), we have noted references to Alexandre, Andersen, Beck, Botvinik, Botvinick, Botivinik, Chmit, Cler, Flor, Golombec, Greenfield, Murphy, Nimtzovitch, Rechewski, Rechevsky, Reshevski, Saemish, Snoskoborovski, Tall, Tarasch, Tarrach, Tarrash, Taylor, Zemich and even, on page 169, Baratk. 1 Rxg7+ Kh8 2 Rxh7+ Kg8 3 Rbg7 mate. An almost identical definition and diagram are given on page 40 of Grosses Schach-Lexikon by K. Lindörfer (Munich, 1991). 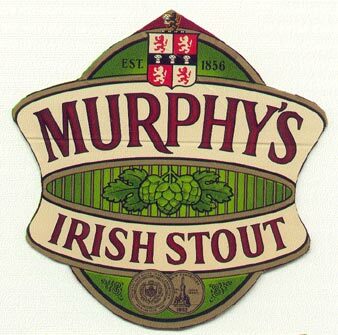 What is known about the origins of this term, and Janowsky’s alleged connection with it? The answer is Kriegspiel, the inventor of which was Michael Henry Temple (1862-1928). It might have been added that the Carlsbad, 1907 tournament book (page 107) reported that the quick mate had been indicated by Tietz. Over half a century after D.J. Morgan wrote his remarks about errors being repeated in chess books the queen sacrifice continues to be presented as if it occurred in actual play. Such is specifically stated in, for example, Checkmate! (subtitle: My first chess book) by G. Kasparov (London, 2004). See pages 58 and 86. 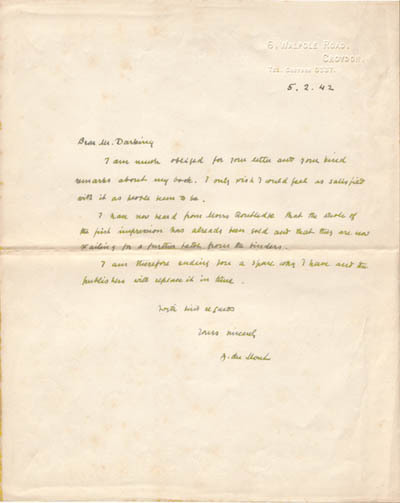 Below, from our collection, is a letter written by J. du Mont on 5 February 1942. The book referred to is the first edition of 200 Miniature Games of Chess (London, 1941), our copy of which is also inscribed by du Mont. We asked for information about Emanuel Rubinstein, and now Tomasz Lissowski (Warsaw) provides a considerable amount. Below is an abridged version. 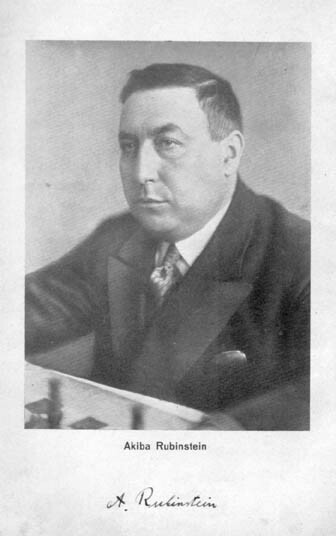 ‘An article entitled “Chess in Poland” on pages 168-172 of the June 1926 Wiener Schachzeitung began by expressing gratitude to “our collaborator Emanuel Rubinstein from Cracow”. Pages 255-256 of the August-September 1926 issue had a feature with the same title which gave the results of a tournament played in Cracow. 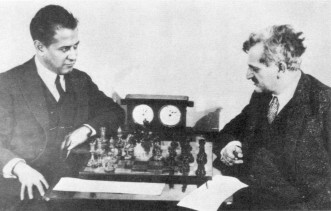 M. Chwojnik, later known as Dr Oren, won easily, with eight points out of ten, while Rubinstein came fourth with five and a half. 1 Nf3 Nf6 2 d4 d5 3 c4 e6 4 Nc3 Nbd7 5 Bf4 Bb4 6 Qb3 Bxc3+ 7 bxc3 O-O 8 e3 Nh5 9 cxd5 Nxf4 10 exf4 Nb6 11 Be2 exd5 12 O-O Qf6 13 g3 Bg4 14 Rfe1 Rfe8 15 Ne5 Bxe2 16 Rxe2 Re6 17 Qc2 g6 18 Ng4 Qe7 19 Rae1 Rxe2 20 Rxe2 Qd6 21 f5 Nc4 22 Qc1 h5 23 Ne5 Kg7 24 Nxf7 Kxf7 25 Re6 Qxe6 26 fxe6+ Kxe6 27 Qb1 Resigns. Source: Swiat Szachowy, 4-5/1929, pages 58-59. Królewska Huta is now part of Chorzów city. 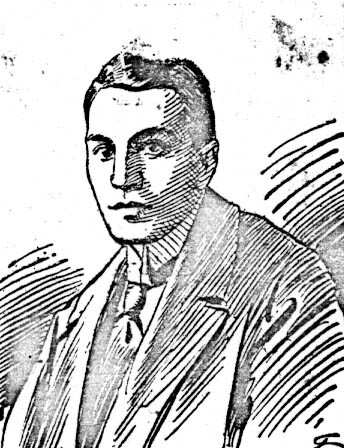 Rubinstein scored +3 –1 =1, and his team (Cracow) took third prize, after Warsaw and Lodz. In subsequent years the chess press paid less attention to him. 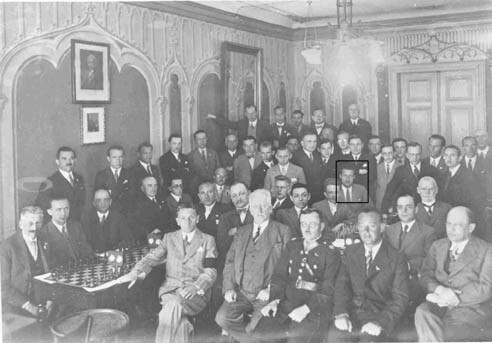 From 1918 to 1939 Cracow was outside the mainstream of Polish chess life, which was concentrated along the Lvov–Warsaw–Lodz axis. 1 Nf3 Nf6 2 c4 c5 3 Nc3 d6 4 d4 cxd4 5 Nxd4 Nc6 6 e4 g6 7 Be2 Bg7 8 Be3 O-O 9 O-O a6 10 f3 Qc7 11 Qd2 Nd7 12 Nd5 Qd8 13 Rad1 Rb8 14 f4 Nc5 15 Nc3 Nxd4 16 Bxd4 Bxd4+ 17 Qxd4 f6 18 e5 Ne6 19 Qa7 fxe5 20 fxe5 Bd7 21 exd6 exd6 22 Rxd6 Qe7 23 Rdd1 Bc6 24 Nd5 Qh4 25 Qe3 Rbe8 26 g3 Qg5 27 Rxf8+ Kxf8 28 Rf1+ Kg7 29 Qc3+ Kh6 30 h4 Qd8 31 Qe3+ Kg7 32 Qe5+ Kh6 33 Rf7 Bxd5 34 cxd5 Qb6+ 35 Kf1 Qd4 36 Qxd4 Nxd4 37 Bg4 Rd8 38 Rd7 Rf8+ 39 Kg2 b5 40 d6 Rf6 41 Kh3 a5 42 Bd1 Nf5 43 g4 Resigns. 23 f5 Bd7 24 e5 Qc7 25 fxg6 hxg6 26 Bxg6 Rf8 27 e6 Bxb5 28 Bxf7+ Kh8 29 Qg6 Resigns. 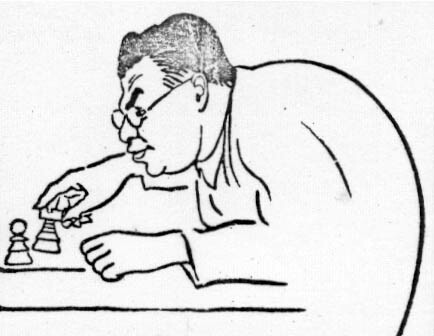 Source: Nowiny Szachowe, 5/1938, pages 8-9. 25 Nxe5 fxe5 26 Rxe5 Rc3 27 Re8+ Kf7 28 Rxd8 Be5 29 Rxc8 Bxc8 30 Qe2 Bd4 31 Bxc3 Bxc3 32 Qf3+ Bf6 33 Rc1 Bd7 34 Rc5 Qb7 35 Qf4 Qa8 36 Qd6 Qe8 37 Rc7 Resigns. Source: Szachista, 9/1938, pages 129-130. In that championship Rubinstein finished equal 2-4 with Arłamowski and Październy, behind Henryk Scheier. At the beginning of September 1939 Cracow was seized by the Wehrmacht. Thousands of Polish citizens, among them many of Jewish background, sought salvation in the eastern part of Poland, which was occupied by the Soviet Army. 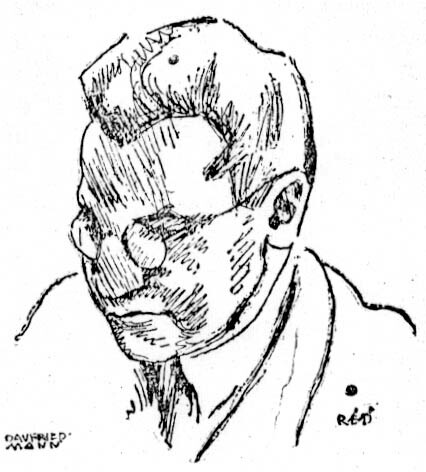 In 1940 Rubinstein was reported (by Arłamowski in the January 1946 issue of Szachista Polski) to be in Lvov, which was then part of the Ukrainian Soviet Republic. Life in the new “homeland” was no paradise, but the situation became even worse when Hitler invaded the Soviet Union in June 1941. 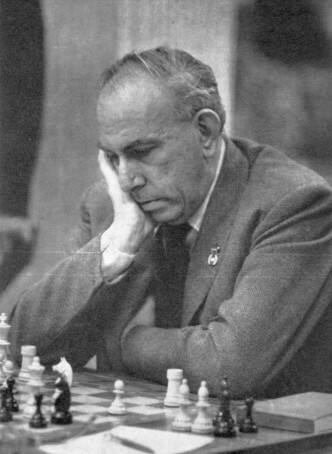 Did Emanuel Rubinstein share the fate of Dawid Przepiórka, Karol Piltz, Henryk Friedman, Edward Gerstenfeld, Marian Wójcik, Achilles Frydman and many other Polish chessplayers – victims of the War or the Holocaust? 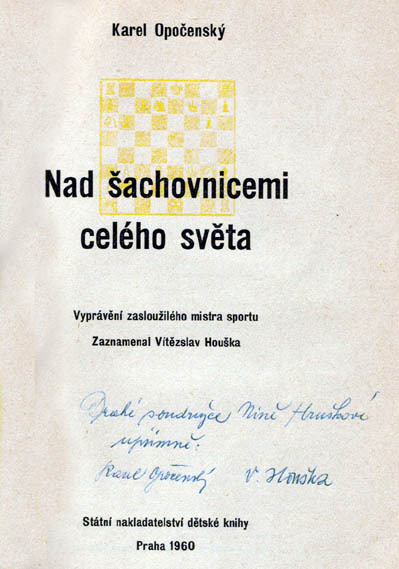 The March 1947 issue of Szachista Polski published the results of that year’s Cracow Championship. There was a Rubinstein who finished tenth, but unfortunately the players’ forenames were not given. 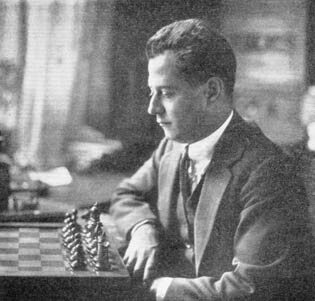 ‘Capablanca is an extremely rare surname in Spain. 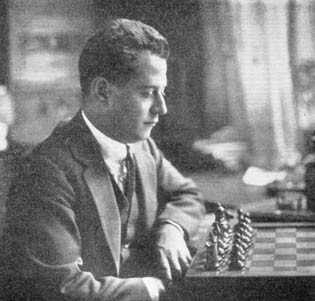 Spaniards have two surnames, and today only 29 people living in Spain have Capablanca as their first surname (i.e. that of their father), and only 24 have it as their second surname (i.e. that of their mother). Of the 29, 14 are of Spanish nationality. All those in the group of 24 are Spanish. These are official figures, obtained from the INE (Instituto Nacional de Estadística, the Spanish Central Statistical Office). Fernando Capablanca has carried out a great deal of research and even checked many baptism records (at the main church in Valdepeñas), supplementing them with information gathered from the Archivo General Militar (the Central Register Office of the Spanish Army) in Segovia. It can be reported that Capa’s grandfather, Tadeo Capablanca Broca, was born in Valdepeñas (province of Ciudad Real, Spain). 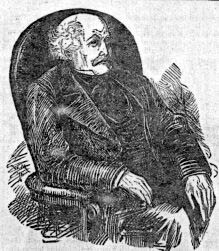 He was married to Bernarda Fernández Brieva and he died in 1885. In the Spanish army he was a “Comandante”, i.e. a commanding officer or commander, usually translated into English as major. As regards C.N. 3481, there is obviously almost no relationship between Korn’s passage and Morán’s. Morán’s remark that all Spaniards have a drop of Jewish blood is a very general comment often used in Spain, referring not only to Jews but also Arabs, for instance. It is not a scientific fact (there is no statistical answer to the question, “How many Spaniards have a Jewish ancestor?”). However, in the light of the research by Fernando Capablanca, I do not think that this is the case if we refer to the surname Capablanca. I have checked this possibility with a relative of mine (my uncle José Antonio Dávila, who is an expert in genealogy, lineage and nobility). It seems to him wholly unreasonable to suppose that the surname Capablanca would have been chosen by a Jew remaining in Spain (based upon the many historical studies that have been made on that subject). C.N. 2162 gave, from pages 238-239 of the June 1858 Deutsche Schachzeitung, a capped-knight game between Max Lange and ‘Jenny v. S.’; see pages 114-115 of Kings, Commoners and Knaves. Now we are informed by Richard Forster (Winterthur, Switzerland) that the game was presented by Lange on pages 154-155 of his book Sammlung Neuer Schachpartien (Leipzig, 1857) and that Black was identified as ‘Fräulein Jenny von Schierstedt’. 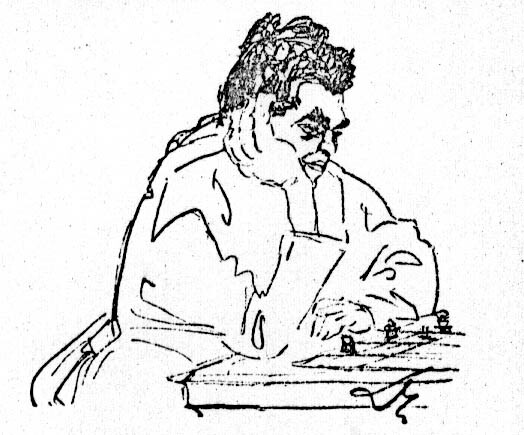 In 1900 James Mason published ‘a collection of short and brilliant games’ under the title Social Chess. 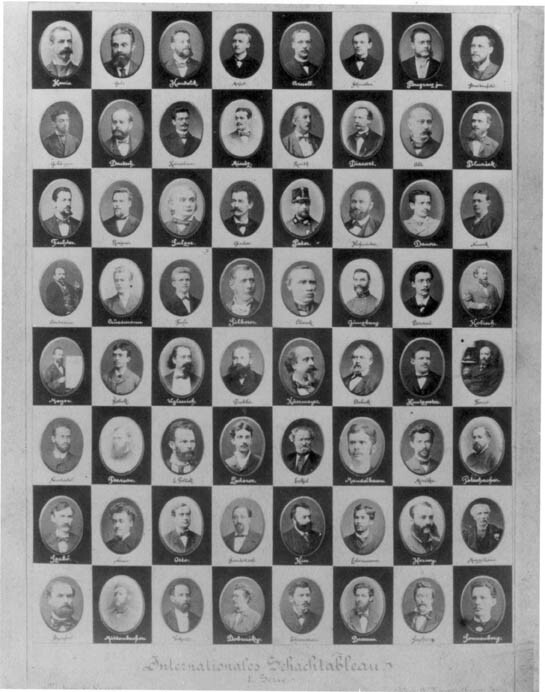 In all, 131 specimens were provided, and only ten players were represented three times or more: Anderssen, Blackburne, Boden, Buckley, Mackenzie, Mason, Morphy, Platt, Rosenthal and Steinitz. Who, it may be wondered, was Platt? Further information on Platt’s collection appeared in the BCM later that year (July, page 293; August, pages 321-322; September, page 366), and there was also a feature ‘Quelques détails relatifs à la Collection de Jeu d’Échecs de M. Ch. 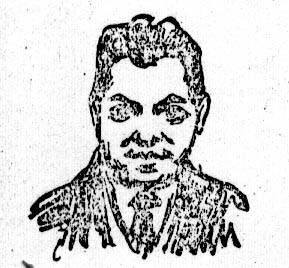 Platt’ on pages 257-261 of La Stratégie, 15 September 1900. On page 7 of A History of Chess (Oxford, 1913) H.J.R. 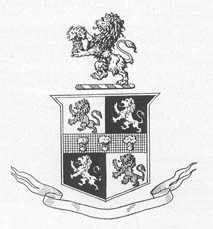 Murray thanked ‘Mr Charles Platt, of Harrow, who has allowed me to include illustrations of Oriental chessmen from his unique collection’. It may seem paradoxical for doubled rooks on the e-file to be described as ‘out of play’. 1 e4 b6 2 d4 Bb7 3 Nc3 e6 4 Bd3 Bb4 5 Bd2 a6 6 f4 Nf6 7 g4 d5 8 e5 Ne4 9 Bxe4 Qh4+ 10 Kf1 Bxc3 11 Bxc3 dxe4 12 Be1 Qe7 13 h4 (‘... the late James Mason asked permission to include the game in his fine work The Art of Chess because of this extraordinary pawn play’ – Platt.) 13...c5 14 h5 f6 15 Bh4 Nd7 16 g5 fxe5 17 g6 Qd6 18 h6 hxg6 19 hxg7 Rg8 20 Bf6 Nxf6 21 Rh8 O-O-O 22 fxe5 Qxd4 23 Qxd4 Rxd4 24 exf6 Rdd8 25 Rxg8 Rxg8 26 f7 Resigns. We have not traced this game in any of the various editions of The Art of Chess, but it was published by Mason on pages 114-115 of Social Chess. 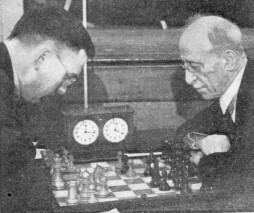 Both Platt and Mason criticized Black’s 23rd move. 13...Ne4 14 Bxd8 Ng3 15 Ng6+ (Mason refers to ‘an exciting and amusing finish’, without mentioning that White could have prevented it with 15 Ba4+.) 15...Nge2+ 16 Qxe2+ Nxe2 mate. 1 d4 d5 2 Bf4 e6 3 Nf3 Bd6 4 Bxd6 Qxd6 5 Nbd2 Nf6 6 e3 O-O 7 Bd3 c5 8 c3 c4 9 Bc2 Nc6 10 O-O Ne7 11 e4 Qd8 12 e5 Nd7 13 Ng5 h6 14 Bh7+ Kh8 15 Qh5 Ng8 16 Ndf3 hxg5 17 Bxg8+ Kxg8 18 Nxg5 Re8 19 Qxf7+ Kh8 20 Qh5+ Kg8 21 Qh7+ Kf8 22 Qh8+ Ke7 23 Qxg7 mate. 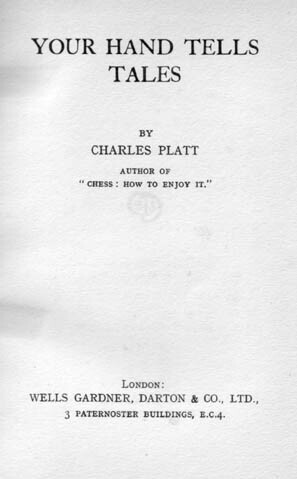 Platt annotated the above game on pages 58-61 of Chess: Draughts: How to enjoy them. 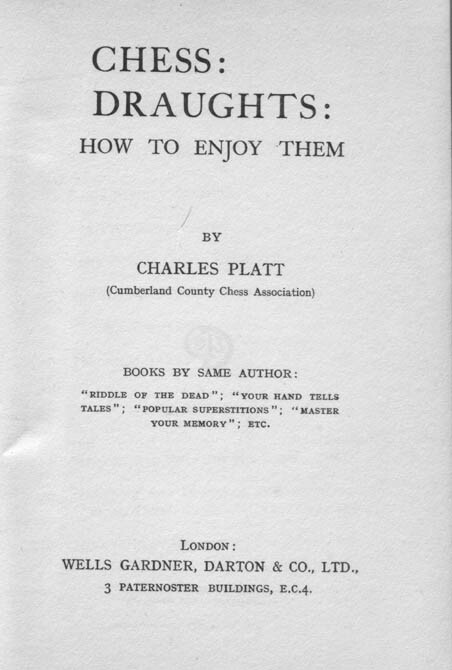 Bibliographies also state that an author named Charles Platt used the pseudonym ‘Professor Duncan’ for a book entitled How To Talk Correctly (various editions), while the chess anthologist E.V. 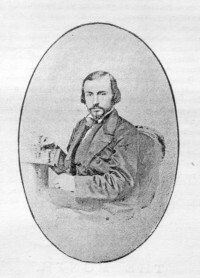 Mitchell (see C.N. 3484) wrote The Horse and Buggy Age in New England, a book with two illustrations by a Charles Platt. In neither book, however, have we found any connection with Charles Platt of Cumberland. 3506. 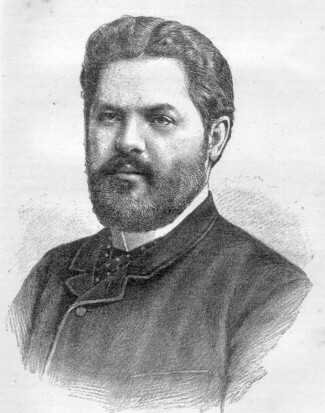 When was Nimzowitsch born? 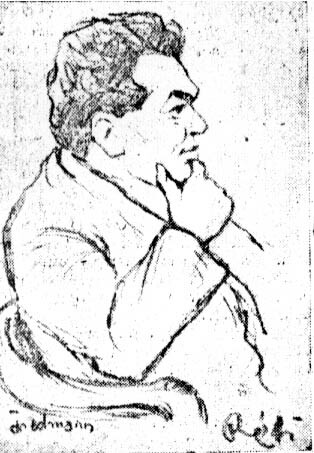 ‘C.N.s 1894, 1931 and 2879 discussed the exact date of Nimzowitsch’s birth, and even today there are some who believe that it was 7 February, rather than 7 November, 1886. Our book will present rock-solid proof that 7 November 1886 is the correct date. Mr Skjoldager would like to hear from readers who possess rare material on Nimzowitsch, and we shall gladly pass on any messages received. 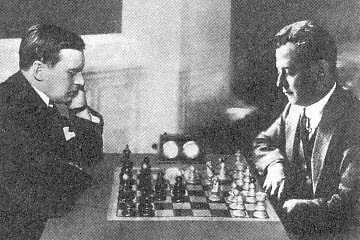 That unpropitious start comes on the first page of the first chapter of Alexander Alekhine Master of Attack by A. Raetsky and M. Chetverik (London, 2004). However, the most striking feature of this Everyman Chess potboiler is that the names of many of Alekhine’s opponents have been mangled (two examples being ‘Kakiato’ and ‘Afric’, both on page 42). 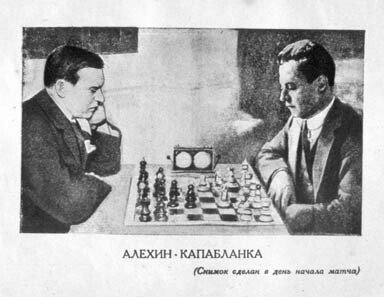 It is lamentable that anyone would even consider bringing out a book on Alekhine without consulting Alexander Alekhine’s Chess Games, 1902-1946 by L. Skinner and R. Verhoeven (Jefferson, 1998). This position appears on page 166 of L’oeil tactique: l’entraînement à la combinaison by E. Neiman (Paris, 2003) and is merely labelled ‘Alexander – Marshall 1928’. The book notes that after 1 Rf4 exf4 2 gxf4 dxc3 Black would control g1, and the winning line is therefore given as 1 Na4 bxa4 2 Rf4 exf4 3 gxf4, after which 4 Rg1+ leads to mate. An innocent reader might assume that the players were C.H.O’D. Alexander and F.J. Marshall. That, indeed, is the impression given by various later editions of Kombinationen by K. Richter (see position 297 and the index references). Already in the first edition (Berlin, 1936) Richter gave the position (see page 114), stating that the game went 1 Rf4 exf4 2 Na4 f3+ 3 Nxf3 Qa7 4 Ng5 fxg5 5 f6 Ne6 6 Bxe6 fxe6. As a caption Richter put ‘Meisterturnier Cambridge 1928’, an event unknown to us. C.H.O’D. Alexander went up to Cambridge University that year, but was he necessarily the Alexander in question? Other players active around that time were F.F.L. Alexander and L. Alexander, and there was also an E.T. Marshall; on page 162 of the April 1932 BCM all three of them were listed as members of the Lud-Eagle team. At the moment no information can be offered about where the game was played or by whom. Nor has the complete score been found. White (Queen’s pawn 4): Obvious untruth of the accusations against the Trotskyite opposition. Black (Queen’s pawn 4): All opposition in a Workers’ State is a priori counter-revolutionary. White (Queen’s Bishop pawn 4): Growing inequality of pay and privileges for the Bureaucracy. Black (King’s Bishop pawn 3): Necessity to stimulate production by temporary expedients. White (King’s Knight Bp. 3): Chauvinistic education, boosting of leadership, religious revival, etc. Black (Queen’s Knight Bp. 3): Necessity of preparing backward masses for imperialist war and fascist aggression. 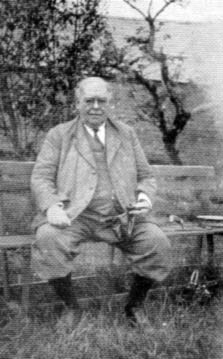 ‘1891 census – Charles Platt, boarder at the Station House, Wetheral, Carlisle. He is aged 25, occupation woollen manufacturer, employer, born Hampstead, London. 1901 census – Chas. Platt, aged 35, manager woollen mill, employee, born Hampstead, living at Thornleigh, Wetheral. Wife Eliza, aged 32, born Wigton near Carlisle. One servant living in. 1 Rxd5+! cxd5 2 Nd3+! exd3 3 f4 mate! It is odd, first of all, that Chernev did not specify that at move 24 White missed a mate in four through a combination identical to the actual finish (i.e. 24 Rxd5+ cxd5 25 g4, followed by 26 Nd3+ and 27 f4 mate) or that after the faulty 24 g4 Black could have played 24...Rd7. But it is odder still that Chernev attributed the win to Hromádka, who was, in fact, Black. A similar mistake occurs in certain databases. 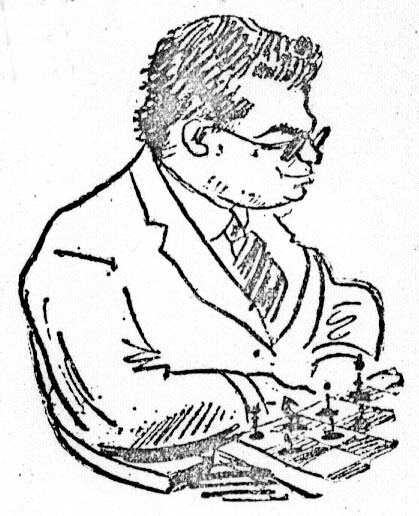 On the other hand, the game was attributed correctly, though vaguely (‘a pretty win by Opočenský’), by Chernev and Reinfeld on page 122 of The Fireside Book of Chess (New York, 1949). The score was published on pages 9-10 of the January 1932 Československý Šach, and Opočenský was named as White. 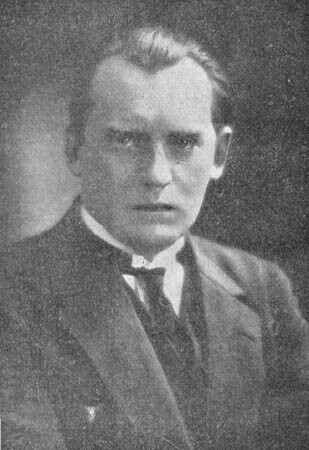 The tournament crosstable, also given there, confirmed that he defeated Hromádka in that event, and the game was headed ‘Vánoční turnaj v Košicích 1931-1932’, i.e. ‘Christmas tournament in Košice 1931-1932’. There was no indication whether the game was played in 1931 or 1932. The mate missed by White at move 24 was pointed out by the Czech magazine. Chernev’s ‘Kaschau’ is correct, being the town’s German name. In Hungarian it is Kassa, whereas in certain databases the faulty ‘Kauchau’ is used. It may be recalled that in C.N. 3405 Luca D’Ambrosio (Bolzano, Italy) suggested that, for reasons of lighting, background, etc., the above photograph, widely published, was a montage. We concluded that there were further reasons for holding that view. 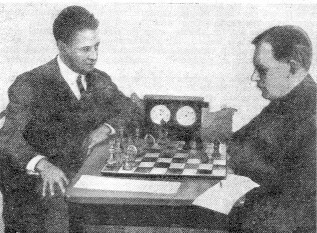 For instance, the position was from Nimzowitsch v Alekhine, Semmering, 7 March 1926, and the board, pieces, clock and wall corresponded to a picture (of other players) in the book of that tournament (from which Capablanca was absent). 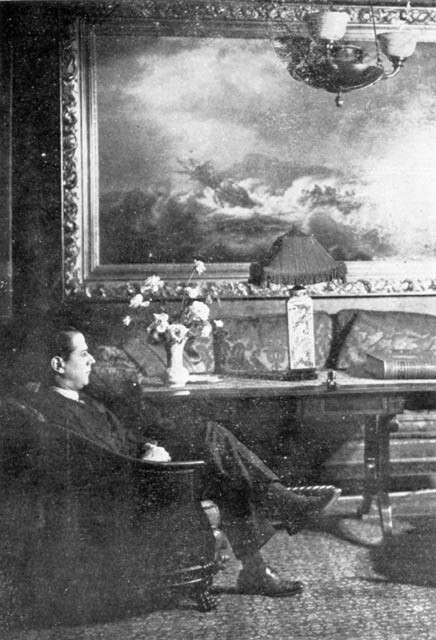 Moreover, the Capablanca part of the photograph was a reverse shot of the portrait of him (i.e. the left half of our own composition below) which had been published on page 14 of the “1. Extra-Ausgabe” of Kagans Neueste Schachnachrichten in late 1925 or early 1926. The present item reverts to a number of issues from the past year or so which this column has, to date, been unsuccessful in resolving. 16 gxf6 Rxd1+ 17 Nxd1 Qxd2 18 fxg7 e6 19 g8(Q)+ Ke7 20 Qxc8 Resigns. Sometimes it is stated that Black resigned at move 18. He is usually referred to as ‘N.N.’, although the surnames ‘Feuerstein’ and ‘Shmith’ [sic] have been seen. Various secondary sources state that the game was played in a simultaneous display in Germany (or, more specifically, Stuttgart) in 1958, but it was dated as late as 1970 by D.J. Morgan on page 232 of the June 1972 BCM. ‘Germany 1969’ was the heading on page 60 of Tal Since 1960 by W.H. Cozens (St Leonards on Sea, 1974), but was it, in fact, played before 1960? White, to move and win: 1 Rxg7 Rxd1 2 Rxe7+ Kg8 3 Rg7+ Kh8 4 Rxd7+ Kg8 5 Rg7+ Kh8 6 Rxc7+ Kg8 7 Rg7+ Kh8 8 Rxb7+ Kg8 9 Rxb8+ Kh7 10 Rh8+ Kg6 11 Rg8+ Kh7+ 12 Rg7+ Kh8 13 Rxg5+ Kh7 14 Rg7+ Kh8 15 Rxa7+ Kg8 16 Rxa6 Rxf1+ 17 Kg2. What more is known about this specimen of the windmill/seesaw manoeuvre? Play went 1...Rb2 2 Rd1 Qa8 3 Qe4 Rb8 4 Rb1 c2 5 Rxb8+ Qxb8 6 a7 Qc8 7 a8(Q) c1(Q) 8 Qe8+ and mate next move. 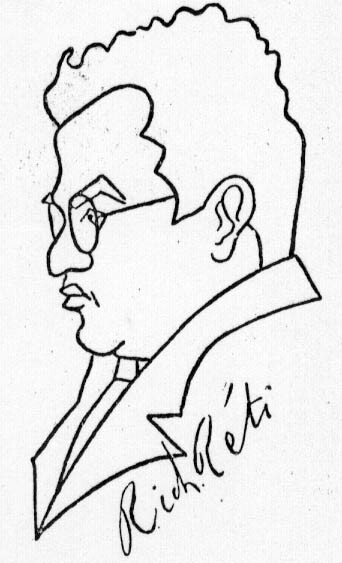 Our source was page 130 of Taktika Moderního Šachu by L. Pachman (Prague, 1962), which merely had the caption ‘Alapin – H.’. However, we pointed out that the same conclusion had been given on page 365 of the September 1904 issue of the Belgian magazine Revue d’échecs, with the following information: “Fin d’une partie jouée entre un fort joueur de Butler, M. H.A. Stauffer (Blancs) et un amateur de Boston (Noirs)”. 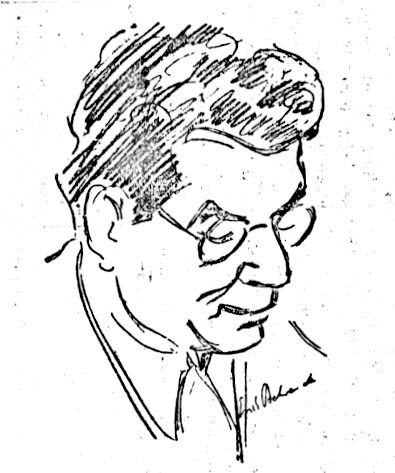 The magazine’s source was the Brooklyn Daily Eagle. We looked for the game-score, without success, in various magazines of the time and in Reinfeld’s tournament book (which had a selection of only 65 games). Is this story corroborated by a contemporary source? (J) C.N. 3377 asked why, on page 65 of Ideas modernas en las aperturas de ajedrez (fifth edition, Buenos Aires, 1967), Tartakower referred to 1 e4 Nf6 2 Nc3 as the ‘Variante del Yatagán’. A subsequent item (C.N. 3392) noted that page 107 of the same book affirmed that the pawn formation e3-d4-c3 was known as ‘the Juncosa triangle’ in Spain and as ‘the Brake triangle’ in England. The explanation for ‘Brake’ has yet to be found. (L) Biographical gaps are not infrequent. C.N. 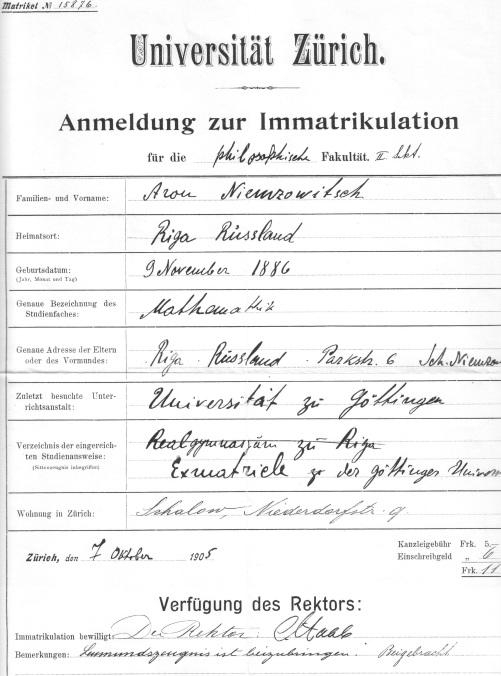 2776 requested, without success, information from contemporary press reports about the suicide of Rudolf Swiderski, at the age of 31, in Leipzig on 12 August 1909. (M) C.N. 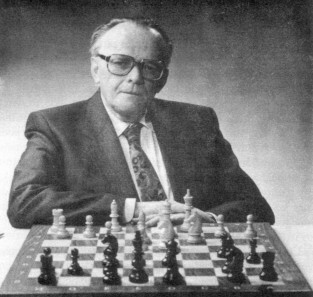 3172 recalled that chess historians have so far been unable to determine beyond doubt the forename of S. Lipschütz. a former champion of the United States. As documented in Jeremy Gaige’s Chess Personalia, writers have put Simon, Solomon and Samuel. Gaige himself chose ‘S[ámuel? 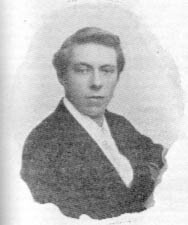 ]’ and listed his date of death as 30 November 1905 (in Hamburg, at the age of 42). (N) In C.N. 3217 it was R. Fine’s forename that was under discussion, the late Sidney Bernstein having written to us on 23 January 1987, ‘Dr Ruben (he spells it thus now) Fine’. So far, nothing has been traced to show that Fine changed from Reuben to Ruben in his later years. (P) Another little mystery has been a possible chess column by Rubinstein (C.N.s 3120 and 3124). 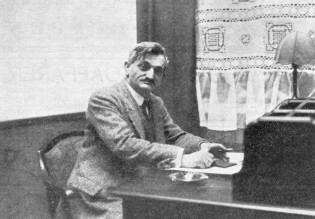 We quoted from page 263 of the September 1918 BCM Alphonse Goetz’s remark that Rubinstein ‘used to conduct in his native town of Łódź a chess column in a little Yiddish paper, printed in Hebrew characters’. Earlier items (C.N.s 1705, 1843 and 1910) discussed the only volume for which authorship is credited to Rubinstein, La partida de ajedrez (Madrid, 1971), but the provenance of most of the annotations in that book also remains unclear. Readers with information on any of the above matters are invited to write in. 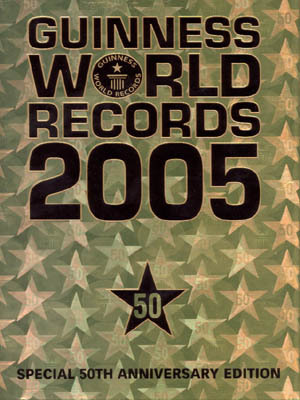 Copyright 2004 Edward Winter. All rights reserved.